Many dental patients in Langley believe they have perfect oral health. However, at Thunderbird Dental Group, we see many patients who are suffering from gingivitis and gum disease without even realizing it. Puffy, red gums that bleed could mean you have gingivitis. If you ignore these symptoms — and many patients do as the swelling, redness and bleeding aren’t typically painful — you may be on your way to early stage periodontal (gum) disease. But, it’s also possible to prevent the disease from occurring by reducing plaque build-up. Daily flossing and brushing, as well as regular dental hygienist cleanings, can keep plaque away. Regular dental checkups at Thunderbird Dental Group are crucial in gum disease prevention since any early signs of decay can be caught. Some of our Langley patients are surprised when their previously healthy, pink gums start to turn red and begin to bleed, but an individual’s oral health can change at any time. This is why gum disease prevention must be an ongoing effort on your part. Without daily flossing and brushing, plus regular checkups and cleanings at Thunderbird Dental Group, you’re likely to be at risk for periodontal disease. Make sure you brush at least twice a day, as well as floss daily, to avoid plaque build-up. Plaque, a film containing bacteria and acids, ruins tooth enamel as well as causes periodontal disease. Food particles can become trapped in plaque and further the progress of the disease, so it’s important to get regular hygienist cleanings plus gum disease prevention support from your dentist, who may recommend fluoride or other decay-preventive solutions. Getting tips and checkups at Thunderbird Dental Group is an easy way to prevent gum disease and avoid destroying the structure of your teeth. Without regular professional care, moderate and late stages of gum disease may occur. If the gums aren’t healthy, they can’t adequately support the teeth. In the moderate stage of periodontal disease, gums tend to recede and expose large portions of the upper teeth–negatively affecting the tooth structure. Teeth often become loose at this stage. You’ll need to see your oral health expert to help avoid the advanced stage of gum disease. This stage of periodontal disease is the main cause of adult tooth loss and pain is typically present due to infection being built up deeply within the gums. Don’t put off the state of your oral health! 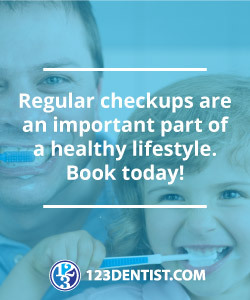 Contact the team at Thunderbird Dental Group to book an appointment for personalized gum disease prevention and treatment.